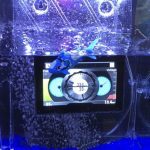 New from Veethree is the CAN 500, the latest high-performance HMI display. 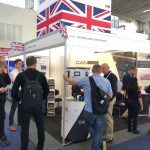 The CAN family of intelligent CAN bus displays are ruggedised for the harshest of operating environments, and with customisable software they sit at the heart of complete control and monitoring solutions. 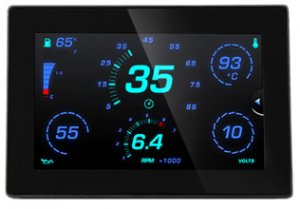 With a slimline profile the CAN 500 display (pictured opposite) not only looks the part in modern equipment design but packs a punch with its performance, data logging capabilities and ability to support analogue and digital sensors. Combined with an optional internet connectivity module it brings support for important IoT features. The nature of machinery, both automated and manual means that a large amount of data can be generated from equipment sensors normally delivered to the operator via the CAN bus display. 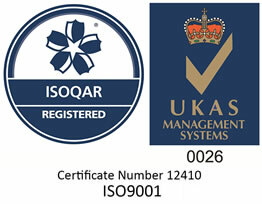 This data of course can as easily be transmitted to the Cloud and into management portals. Detecting wear and tear or operator misuse of vital pieces of equipment has a direct impact on equipment up-time. Intelligent displays can monitor trends projecting when maintenance is required as well as altering service teams to real time problems. By sending fault code information to maintenance teams and facilitating remote access to equipment controls intelligent displays improve information flow so that local operators can be given appropriate first fix solutions or ensure that field engineers arrive with the right parts first time. One of the biggest factors in improving fuel consumption is driver or operator behaviour. 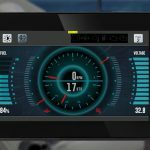 Smart displays are able to report GPS location data, engine parameters and fuel usage calculations. Educating personnel who continually deviate from observed trends for that environment can impact greatly fuel consumption. IoT can bring together standalone components (heavy plant machinery, equipment and vehicles) to give a holistic site view, showing overall performance and operation of a site highlighting areas of underutilisation or where bottlenecks form. Industries such as mining see personnel operating in high risk environments. Connected devices and intelligent displays can help to improve safety through the utilisation of real time data. Taking mining as an example, gas sensors can immediately alert all smart displays to the presence of gas preventing equipment operators from entering that area. Inertial sensors and other monitoring equipment can detect potential issues with mineshafts providing the same alert and alarm feedback. 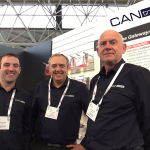 Meet us at stand D755 to explore the CAN display range and discuss your custom control and monitoring solution.